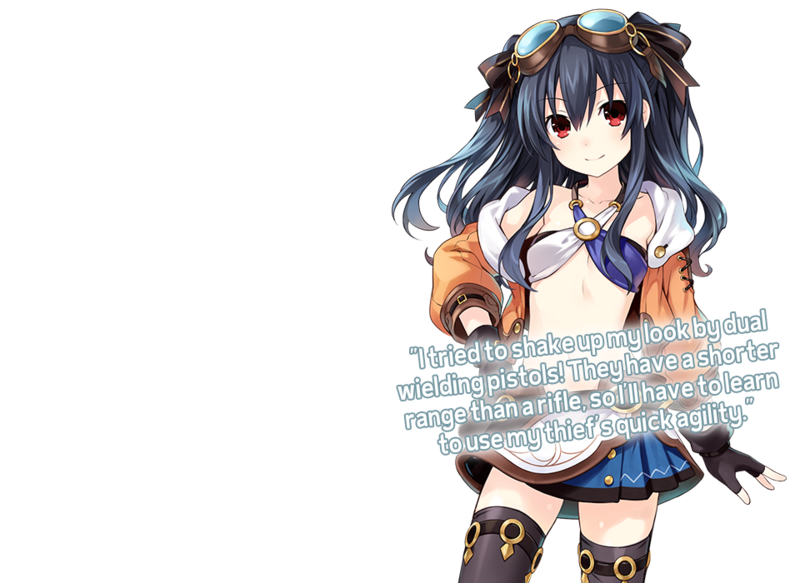 The Goddess Candidate of Lastation, and Noire's younger sister. She's a mischievous girl, but she's also very polite towards her superiors. Contrary to her appearance, she's a military enthusiast who loves guns. She gets along extremely well with the mecha-loving Nepgear. They like to go looking for parts on their days off of work. She has chosen the Thief class. 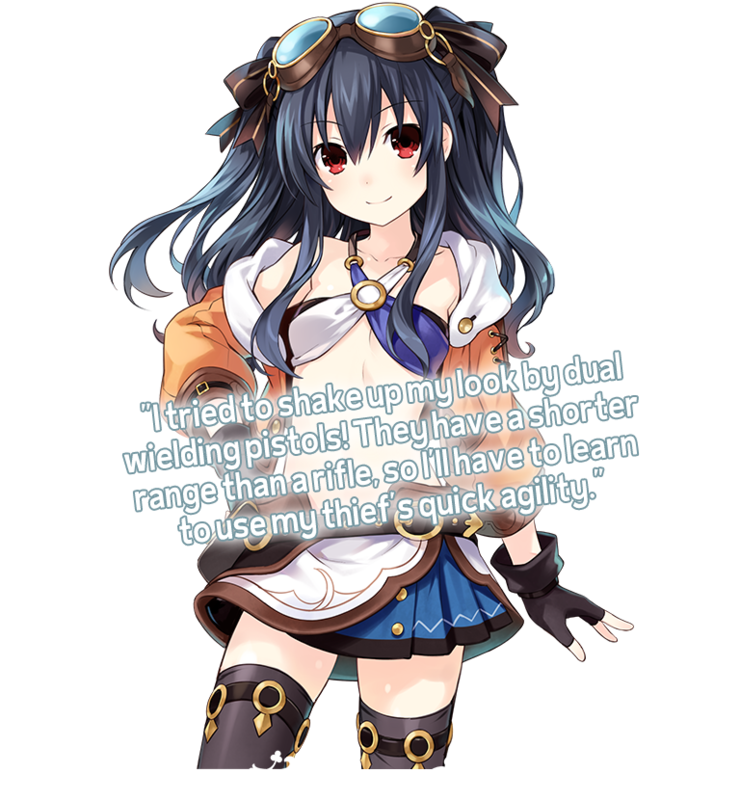 Her speedy battle techniques can confuse the enemy which allows her to take advantage of melee skills. She also uses two pistols.